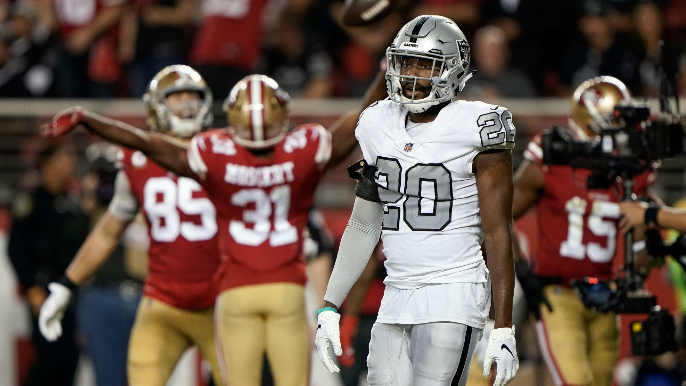 The 49ers dominated the Oakland Raiders on Thursday night, in a shocking 34-3 victory that was hardly competitive. In his first ever NFL start, Nick Mullens looked like Joe Montana against the porous Raiders defense. The clash of one-win teams was so one-sided, it led many to speculate whether Jon Gruden’s team was giving maximum effort. That’s exactly what Gary Radnich asked former 49ers safety Donte Whitner on Tuesday afternoon. His answer? Absolutely not. Whitner isolated one play that stood out in particular. Listen to the full interview below. To hear Whitner on the Raiders, start from 5:13.